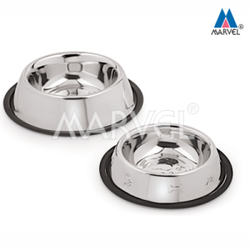 Keeping in mind the diverse requirements of our clients we are involved in offering an extensive range of Dog Feeding Bowl. These Bowls are made up of optimum quality stainless steel sourced from reliable vendors of the industry. Offered product is highly demanded in market due to their best quality and fine finish. We “Micro Steel founded in the year 1990 are a renowned firm that is engaged in manufacturing a wide assortment of Plastic Products and much more. 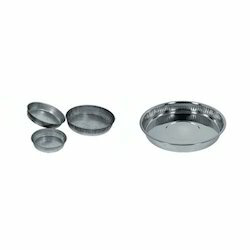 We are a reputed name in the industry, devoted towards offering the best quality array of Stainless Steel Pet Dish. Description :Easy to fill, carry and wash, these stainless steel pet dishes are made in varied shapes and sizes to serve food & water to lovely pets.